Laural Merlington began working in regional theater at the age of seventeen. For over thirty years, she has acted on stage, and, for over twenty, she has narrated and directed more than two hundred audiobooks. An Audie nominee, she has received several Earphones Awards. In addition to her theater and voice-over career, she also teaches college in Michigan, her home state. A beguiling, imaginative and inspiring story that marks the arrival of a major new literary talent. A tender story about a girl who stopped speaking long ago, and how she finds her voice. Opposites attract in this funny, romantic romp from bestselling author Catherine Coulter. Emily was born to write & wants to go to school. But what if she has to give up one for the other? Rules are made to be broken in this classic romance by bestselling author Barbara Delinsky. A sweet yet powerful love story from the New York Times bestselling author, Elizabeth Lowell. The Ninja Librarians are back in action to protect those whose words have gotten them in trouble. Cathy can run away from her problems...but can she hide from love? A star attorney leaves the city to run her family’s organic farm and winds up knee-deep in murder. Mary is adopted by mysterious Madame Z and in her new life begins to uncover scary secrets. Will Emily's dreams ever come true? The 2nd book of the Greenhouse Mysteries finds more trouble brewing for Megan in sleepy Winsome, PA. 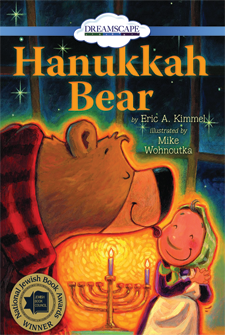 When a bear arrives at her door, Bubba Brayna mistakes him for her rabbi. Together they celebrate! When a bear arrives at her door, Bubba Branya mistakes him for her rabbi. Together they celebrate! This essential guide makes learning engaging and accessible for those that need it most. Something sinister afoot in Bucks County could turn an idyllic summer into a nightmare.